The Hahnemuhle paper mill has been producing high-quality, mould made artist's â€šÂ¬ â€žÂ¢ papers for more than 420 years. Now - in the digital age - we have expanded and developed on our experience and tradition gained in the field of outstanding artists â€šÂ¬ â€žÂ¢ materials since the company was founded in 1584. With our range of coated watercolour papers for giclee printing, we are already the world market leader in Digital Fine Art papers for professional users. Our latest product range is the Art Print Â series for aspiring hobby artists and photographers. The range consists of five high-quality, acid free, A4 size inkjet paper grades for printing and reproducing artwork and photographs. These papers have a special coating for ink jet printing and have an outstanding light and age resistance. 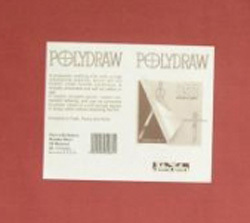 The art and photo reproduction steps are described on each pack of paper allowing the artist easy step by step instructions to produce excellent results. A natural white paper, specially developed for reproduction of watercolour paintings. It is a fairly warm white, with a surface structure which reflects the fine tradition and elegance of many watercolour papers. The high-quality inkjet pastel paper has a weight of 170 g/m, is natural white and has an extraordinarily fine silky structure. A high-quality inkjet paper with a velvety smooth surface, specifically developed for photo reproduction. Due to its bright white finish, this paper gives an extremely high degree of colour brilliance and precision. The possible uses of Hahnemule's Photo Glossy Premium are endless: Photo reprints with a large colour space. It is also suitable for finest black and white nuances for portrait and landscape photography. The perfect inkjet medium, especially for oil and acrylic paintings, consisting of a poly-cotton mix, true canvas structure. This soft quality is natural white in colour and has a real cotton woven texture. Winton Oil Colour pads have a traditional canvas textured surface which is specifically designed for use with oils and acrylics. With a specially formulated primer applied during the sizing process, Winton paper has good holdout for oil application. 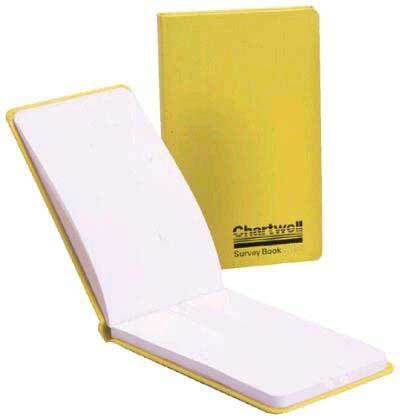 Each pad contains 10 sheets 108llb/230gsm in weight. Ideal for either outdoor sketching or studio work. Are Daler-Rowney papers and boards environmentally friendly? Wood pulp used in the production of Daler-Rowney paper and board products, comes from managed forest estates in Europe and North America. These estates harvest and replant trees specifically for paper and board production and annually plant more trees than are felled. No trees from South America Rainforests or endangered hardwood species are used. All our paper and board purchases are produced from either Oxygen or Chlorine Dioxide bleached pulps and as such can be classified as Chlorine free. Daler-Rowney canvases and paper for painting with oils and acrylics are made to the highest specifications. 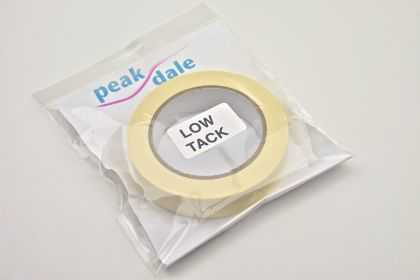 All canvas used for Stretched Canvases, Canvas Panels and sold from the roll is treated with two coats of acrylic primer. Double-priming creates a perfect ready-to-use painting surface for both oils and acrylics that holds the colour on the surface and prevents seepage through to the back. The famous Daler Board with its unique oil-primed surface has been a favourite choice among oil painters for decades. Specialist papers for painting in acrylics include the popular Cryla surface with its uniform woven textured surface and new System 3 paper, which recreates the random weave of linen. Ready stretched canvas could be used as projector screen. Stretcher pieces are ideal for making a frame for traditional projector material. Spiral Bound Hard Back Book. 220gsm weight with 20 leaves. 70 gsm weight with 50 leaves bleedproof paper. 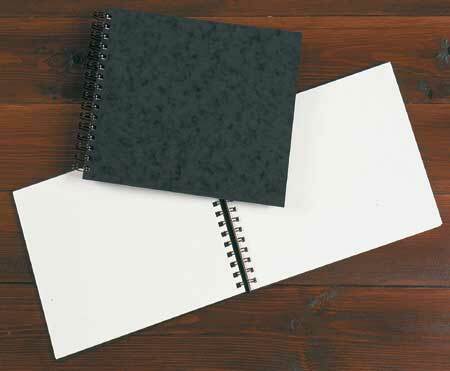 high quality, smooth, white bleed proof paper ideal for presentation visual aids. 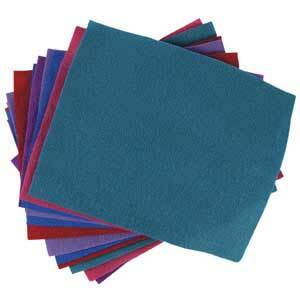 - Kunin Felt is available in an assorted range of coloured squares 12" x 9"
taut. More water will not then be able to cockle the paper. Soak the paper completely - 90lb for 3 minutes, 140lb for 8 minutes, 300lb for 20 minutes. If using a manmade fibre board, seal it with dilute French polish first. Use brown gum strip (not masking tape) to tape edges along their complete length. Keep the board flat to dry. Bockingford and Langton are two of the more commonly found watercolour pads and usually have 12 sheets in a landscape or portrait format. The most commonly used weight is 300g/m ( 140 lb ), this is thick enough not to cockle under light washes without being too expensive. The paper is colour stable, mould made and acid free. The best watercolour papers are acid free to prevent the deterioration of paint and to preserve the integrity of the paper over time. The paper has a 'NOT' surface (sometimes known as cold pressed) which is in between the roughest and smoothes texture of papers. This makes it a very versatile paper popular for watercolour and linewash work. It can also be used for pastels, inks, designers gouache and acrylics. 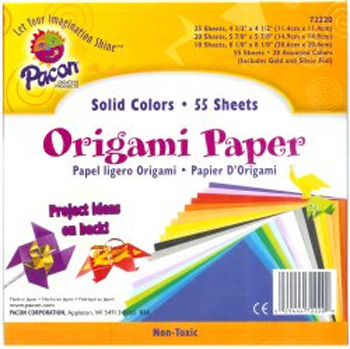 Contents : These origami paper packs contains 55 sheets of solid coloured lightweight paper, including gold and silver foil. This Japanese made paper is ideal for folding. It includes an origami project sheet with some examples to get you started. Crystal clear film for studio and artist work with aqueous media i.e. watercolour & gouache. 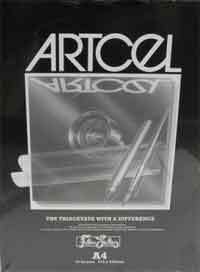 100mic Artcel in a pad x 15 sheets.